This report provides a focused review of the quality of care provided to patients who were admitted to hospital with acute heart failure. In England and Wales there is an almost five-fold variation in inpatient mortality due to heart failure between acute hospitals (lowest 6%, highest 26%). 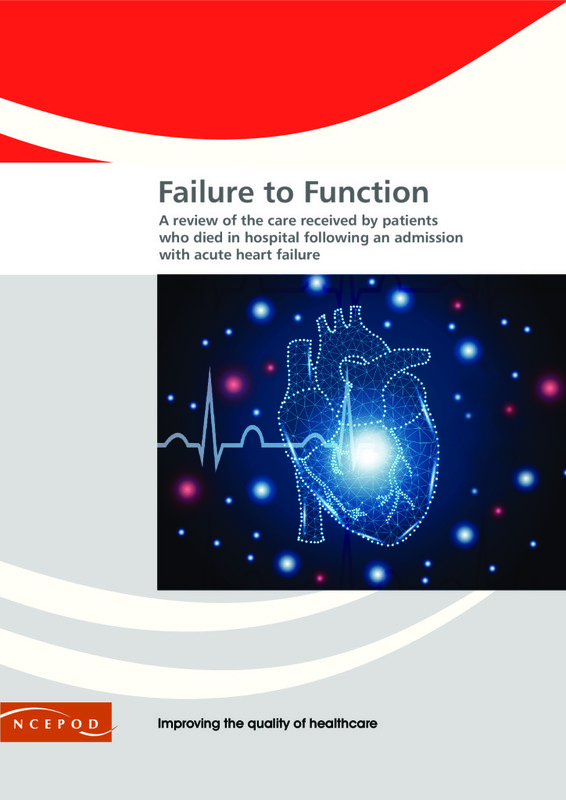 The National Heart Failure Audit which includes 80% of patients admitted to hospital with acute heart failure has shown that care delivered in a specialist cardiology ward is associated with a 40% reduction in mortality, but that the proportion of patients transferred to cardiology varies. The study presented in this report was proposed to explore the variation in the organisation of heart failures services and clinical care for patients with acute heart failure on arrival at, and admission to, hospitals in the United Kingdom. Samples of patients who died in hospital during their admission due to a new diagnosis of heart failure, or an acute episode of their chronic heart failure were reviewed. Case note review helps to answer the questions raised by the national audit by providing a more in-depth analysis of clinical care including a qualitative assessment of clinical practice in individual cases.